A landslide that closed a stretch of Highland railway line for most of the weekend has been cleared and repairs at the track completed. 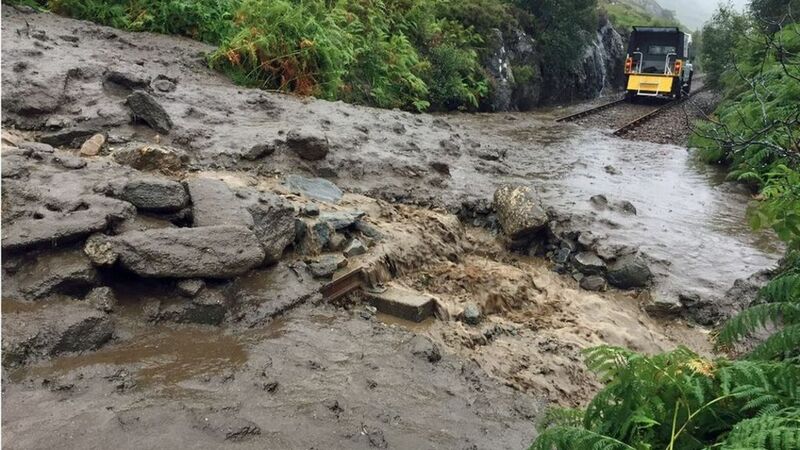 About 100 tonnes of mud and stones were washed across part of the Fort William and Mallaig line near Lochailort during heavy rain on Thursday. Travel on the nearby A830 road was also affected for a time by the same landslide. ScotRail said the work to the railway line was completed at 20:00 on Sunday. The normal timetable resumed on the line on Monday morning, when the A830 was also fully reopened to traffic. A landslide that closed a stretch of Highland railway line for most of the weekend has been cleared and repairs at the track completed.